The 16 Days of Activism Against Gender-Based Violence (November 25-December 10) raise awareness and galvanize global support to end violence against women and girls around the world. But the conversation doesn’t stop on December 10! Read on for six ways to join the global conversation and get involved with this year’s #16Days movement, joining Together for Girls and our partners in the fight against gender-based violence (GBV). Meet a Hero: Get inspired by the Together for Girls list of #16Heroes fighting to end violence. 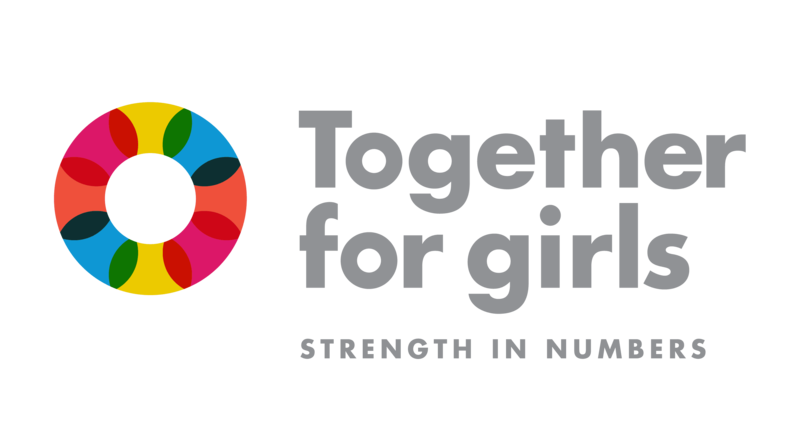 Together for Girls highlighted 16 people working to end GBV around the world. From a Colombian journalist to a Yazidi activist to a determined Afghani adolescent girl rapper, our 16 heroes show that tackling a global problem like sexual violence can start with individual action. Revist the Data: Through the Violence Against Children Surveys (VACS), led by CDC in partnership with Together for Girls, we have collected data on violence for approximately 10% of the world’s youth population aged 13-24. As Dr. Daniela Ligiero, Executive Director and CEO of Together for Girls writes in her blog for the CDC Foundation, Creating Strength in Numbers to End Violence Against Women & Girls, “in order to effectively prevent and respond to violence, we believe we must first understand it.” Explore the VACS data by visiting our Where We Work page and learn how TfG country partners are turning the VACS data into programmatic action in our blog for the World Bank, Data for Policy: Building a Culture of Evidence-Based Policies to Address Violence Against Children. Orange the World: Together for Girl partner UN Woman, is marking the 16 Days through a series of events that highlights the global movement to end GBV, hosting advocacy events/marches and lighting up iconic buildings in orange to shed visibility on the issue of GBV. This year, UN Woman is paying special focus to the far-reaching consequences of violence against women and girls within some of the most marginalized and underserved groups, such as refugees, rural populations and indigenous people. See photos of actions taken around the world (and help orange your corner of the globe) on the UN Women blog and on social media by using the hashtag, #orangetheworld. Support Girls’ DREAMS: Together for Girls partner USAID supports efforts to prevent and respond to GBV in more than 40 countries worldwide. During the 16 Days, USAID released PEPFAR results that showcase significant declines in new HIV diagnoses among adolescent girls and young women. In the 10 African countries implementing PEPFAR’s DREAMS (Determined, Resilient, Empowered, AIDS-free, Mentored, and Safe) public-private partnership, the majority (65%) of the highest HIV burden communities or districts achieved greater than a 25-40% decline in new HIV diagnoses among young women. Importantly, new diagnoses declined in nearly all DREAMS intervention districts. Read more on the DREAMS initiative webpage, including stories from adolescent girls who have been impacted by the programming. Become An Ally: The Government of Canada (a Together for Girls partner), launched a campaign that focuses on the role we can all play to end GBV to celebrate the 16 Days. In their report, It’s Time: Canada’s Strategy to Prevent and Address Gender-Based Violence, they note that the roots of GBV are all around us – in sexist jokes that demean women, media messages, toxic masculinity and rigid gender norms. Learn how everyone can take immediate action to prevent GBV and join the online conversation by using the hashtag, #MYActionsMatter. Spread the Word: In Ligiero’s blog for the UN Foundation, she outlines ways we can help stop sexual violence, including in teaching young children about consent and in helping enlist men in the movement. She also notes how we all can work to create societies where someone who has experienced sexual violence feels empowered to come forward, knowing they will be believed, protected, and not blamed. To learn more about GBV and to access data and resources that you can use to help spread information about the far-reaching impact of GBV, visit togetherforgirls.org. By better understanding the problem and working together to spark action, we can create a safer world.